Because there is no specific wording that accompanies a voetstoots clause in the agreement of sale for immovable property, it is not always immediately apparent to non-property professionals what this clause really means. According to South African common law, the duty resides entirely with the seller to provide warranty against all latent defects relating to the property. Latent defects are those that are not clearly visible to the ordinary person which means that a seller would be liable for all defects whether he knew about these or not. This poses significant risk to the seller and as a result, the voetstoots clause was introduced and has become commonplace in most agreements of sale. The warranty that holds the seller liable for all property defects can be excluded by inserting a voetstoots clause into the contract of sale. Translated literally, this clause specifies that the property will be sold ‘as is’ and exempts the seller from being held liable for defects which he or she was not aware of. Sellers should note, though, that this does not extend to patent defects (those that are clearly visible or those that the seller is deemed to have been aware of). The inclusion of this voetstoots clause limits the seller’s risk when it comes time to sell a property. 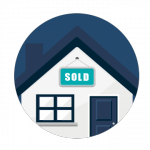 A seller has the duty to inform a purchaser of all latent defects that he or she is aware of as well as any abnormal or unusual qualities of the property. This applies to all information that does not fall within the reasonable scope of the buyer’s knowledge or where the seller has exclusive knowledge relating to the property. he or she intentionally concealed the existence of the property’s defects. However, the courts have also found that a purchaser is obliged to take reasonable action to protect himself or herself and is therefore obliged to carry out a thorough and reasonable examination of the property to identify patent defects before signing an offer to purchase.